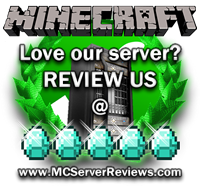 We are a new and upcoming drug server that has many ways for you to have fun and explore. We have a good and a bad side for people to choose the way they want to play. • The bad side gets to grow drugs and sell them for lots of money! If you’re on the good side, you get to make a town. However if you’re on the bad side, band up and make a faction! Raiding is allowed and you can open other people’s chests inside their faction territory! We have PVP enabled, so be sure to watch your back. Don’t feel like growing drugs and fighting all the time? We also have other activities you can do like: participating in treasure hunts, and gambling your fortune in the casino! HACKS of any kind are NOT ALLOWED. 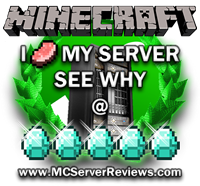 Our owners, admins, and moderators have many tools (like McBans and Hawkeye) and experience at their disposal, and they will catch you if you try to hack, so don’t! But most importantly come and have fun, and make sure to bring your friends! There are 0 Positive and 0 Negative reviews of “Cartel Craft” sorted by most recent. By clicking submit, you agreed to the rules and are using or have played on Cartel Craft.